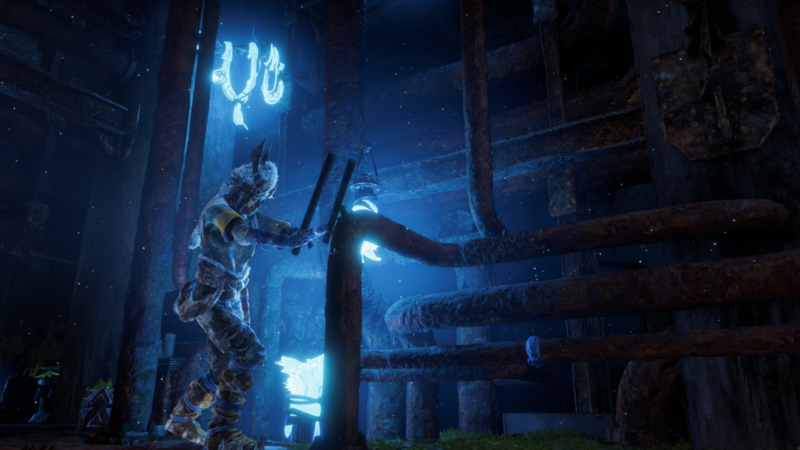 Horizon: Zero Dawn had an unusual release. 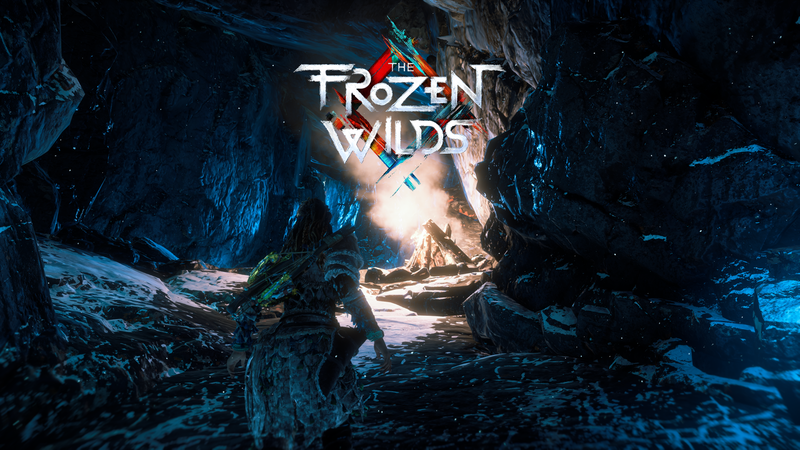 It’s a debut IP from Guerrilla Games, a studio with a relatively niche game catalog, that was a surprising critical success. Only a week later, however, it was inevitably wrestled out of the spotlight by showstopper The Legend of Zelda: Breath of the Wild. Oddly enough, each game also released major DLC at the end of the year, only about a month apart. While Breath of the Wild has added some neat stuff in its recent DLC, I felt it didn’t justify my return to Hyrule. 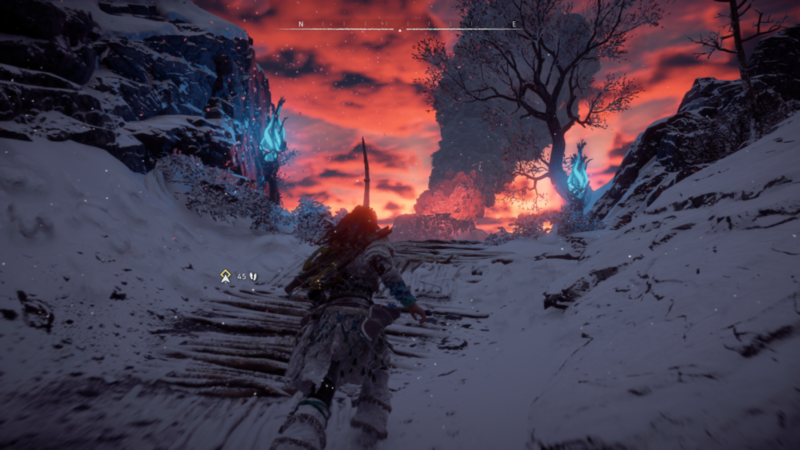 On the other hand, I’ve just started into Horizon: Zero Dawn’s “The Frozen Wilds” DLC, and there’s already plenty to talk about. I like that it adds new spaces, new enemies, and new characters to meet and interact with, how it gives me more world instead of just sticking new things in the same world. Conversely, I dislike how the story leans into a portion of the world’s lore that’s especially guilty of appropriating Native imagery. But none of that is what this post is about. See, early into the DLC I found myself characteristically distracted by a side quest. I found a sad looking young woman with a little exclamation mark above her head. She told me she was a musician named Laulai who, until recently, played music in a place called Deep Din. It was a place, but also a musical instrument. But something had caused it to rapidly and unexpectedly flood, leaving her without her creative outlet but also without a connection to her late father, who had taught her how to play. 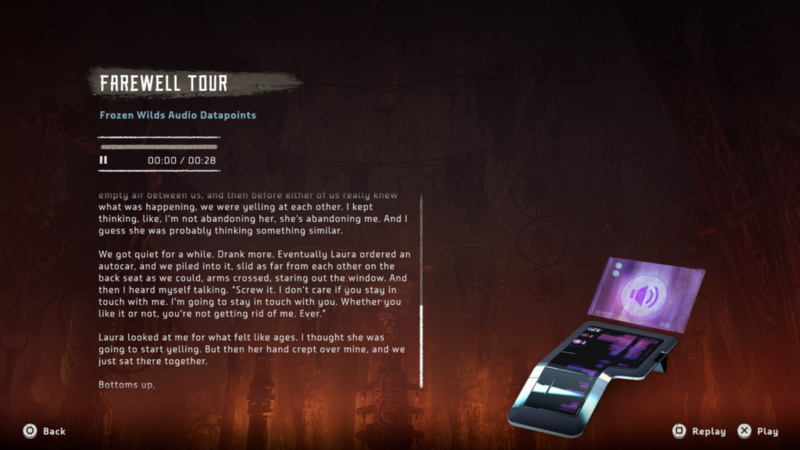 SPOILER WARNING: I’m going to describe the rest of the “Waterlogged” side quest in some detail, so stop here if you intend to play it spoiler-free yourself (which I totally encourage). So I find a big flooded basin, surrounded by a lot of concrete, obviously ruins of the old world (our future). Following the river up a ways I find an enormous dam with opened floodgates. I figured this might be an issue. I find an abandoned camp and a doorway into the ruins of the dam’s inner workings. I climb into the place and start stalking around, wandering through overgrown halls of concrete and steel. I find that someone seems to have messed with the controls and accidentally opened the floodgates. I also find the usual letters and audio logs that Horizon hides in its post-apocalyptic ruins, the sorts of things I usually glance at but don’t really dig into. This one was about a couple of dam employees who were bored at work because they were being gradually replaced by automated robots (“servitors” it called them). The first log details them trying to play a song together, tapping on random pipes to get percussion before being interrupted by something. Anyway, I continue to comb through the place and eventually meet the NPC who broke the controls for the dam, an excitable Oseram treasure hunter (the Oseram are known for being merchants and having interest in old world artifacts). Shenanigans ensue as we try to undo the flooding and open a storage room to find the ancient treasures he was seeking. I do some climbing and jumping, do some robot fighting, do some puzzle solving, all with the chatty backtrack of this bothersome but endearing NPC. Eventually, we fix the dam and get the floodgates closed, part ways with our new NPC pal, and make it back outside. It was here that I found a note I’d missed in which one girl talks about playing a prank on their obnoxious boss, who she saw riding an old snowmobile (she comments on its terrible emissions). Further down the river bank, I find the overflow basin known as Deep Din has been totally drained out, exposing a maintenance shaft down beneath it with a strange noise echoing out from its depths. Climbing down, I find the final log from the two dam workers. They discuss packing up to leave and return to their respective homes. But they also agree not to lose touch with each other. They remember that they chose each other and they refuse to give up. They’ll make it work. I find Laulai down here, banging away on a tangle of large industrial pipes, the noise reverberating dramatically through the cramped room and echoing out above. She thanks me and tells me how happy she is that she’ll be able to carry on her tradition and honor her ancestors. It’s here that I remember the very first audio log from our Dam Lesbian friends, in which they’re tapping on pipes, talking about sampling the sound as percussion for their punk song. That’s when it finally clicked, when the idea of making music from these old rusty pipes came full circle. On the way back out I spot one last audio log that I’d missed heading down, seemingly intentionally placed so I’d find it last. The log was a complete recording of the song that the girls had been trying to write. It’s a loud ranting song about robo-capitalism and douchey businessman bosses. Like most true punk songs, it sounds awful; which is why it has so much heart. Behind the crunchy lo-fi guitar, you can hear the sound of someone banging on large industrial pipes. I always felt that Horizon worked hard at justifying the motives and humanity of its various characters. But only late into the main game did I feel any real attachment to the window-to-the-past characters that are explored through the notes and dialogue they left behind. The “Waterlogged” quest managed to capture me right away and had me reading every note in full as soon as I found it, with writing that was organic and human. I really hope that this level of love goes into the writing for other lost notes and messages that I encounter throughout the DLC. I’m also pleased with the way that its thematically tied back to the present, something that the base game rarely accomplished. The mysterious futuristic history of Horizon’s world manages to feel more real when it echoes into the game’s present day. I still have the majority of the DLC left to play, and I’m looking forward to it. But I honestly can’t see how its going to top the punk-rock-lesbians-vs-sci-fi-capitalism quest. I mean… come on. Anyway, if it does, I’ll definitely be posting about it.